Online Shopping in Dubai: Shop for Targus Speaker (TA-BTSZ-INT). Targus Wireless Speaker will blow you away with its impressive features and impeccable sound. This tiny device boasts a powerful resonating speaker chamber for deep lows and clear high frequencies. 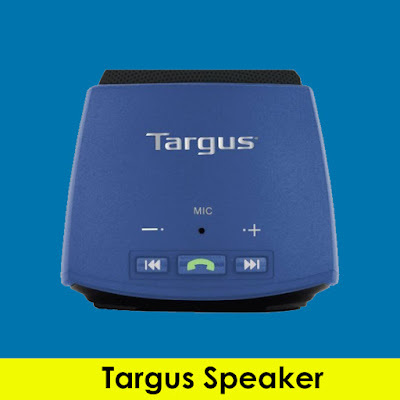 The Targus Wireless Speaker is also great for making and answering phone calls on the go, or at your desk. Just place it on your dashboard or table and start chatting away. Its portability makes it ideal for parties or on the go occasions, so you can enjoy time with friends and family instead of managing cumbersome wires and setup.